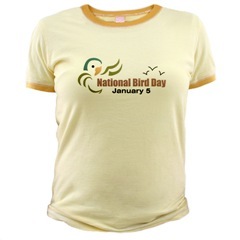 This Saturday, January 5th, is National Bird Day. 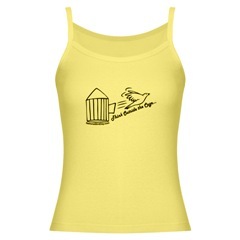 National Bird Day is sponsored by the Animal Protection Institute (API) in coordination with the Avian Welfare Coalition (AWC) and is a great way for people to take action on behalf of captive birds. The National Bird Day website lists many ways to get involved, including writing letters to pet stores asking them to eliminate the sale of birds. It might be a bit early, but I'm already planning a fun project for this Spring. The Arbor Day Foundation offers adorable tiny gift trees in recyclable tubes that can be converted into bird feeders. Labels can be customized with messages, quotes, or logos. The tiny trees are only $3 (though 25 is the minimum order) and you can choose from four different trees (Longleaf Pine, Colorado Blue Spruce, Coastal Redwood, or Ponderosa Pine). The order form will help you determine which species will grow best in your region. I love giving out little gifts from nature to celebrate the beginning of Spring (last time, I did potted violets), so I'm planning to order 25 trees to give out to friends and co-workers on Arbor Day. Arbor Day in Maryland is the first Wednesday in April (April 2nd this year), but it's different in every state. Check this page to find out when your state's Arbor Day is if you are interested in doing something similar. I should also mention that Arbor Day Foundation membership is only $10 for 6 months, $15 for a year and you get 10 free trees shipped to you free of charge. This is Juniper, the turkey I adopted as part of the Farm Sanctuary's Adopt-a-Turkey project. They are encouraging people to adopt a turkey for $20 instead of eating one this Thanksgiving. Farm Sanctuary is an organization that has been very special to me ever since I read about it in Nicole Georges' Invincible Summer zine (which was also the zine that persuaded me to finally go vegetarian). They run shelters in New York and California for rescued farm animals. So, no preaching, but I encourage you to check out the Adopt-a-Turkey and Farm Sanctuary websites. The Farm Sanctuary site has lots of rescue stories with adorable photos (for some reason, this cow reminds me of my doggy, Sammy). 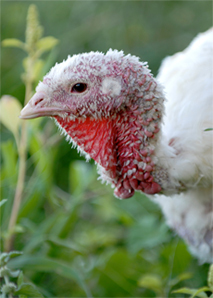 The Adopt-a-Turkey site has some really good information on the turkey industry and some yummy-sounding vegetarian Thanksgiving recipes. I read about Women for Women last night in the April issue of Bust and I signed up immediately. You are matched up with a woman survivor of war in Afghanistan, Bosnia and Herzegovina, Columbia, the Democratic Republic of Congo, Iraq, Kosovo, Nigeria, Rwanda, or Sudan. Like any other sponsorship, there's a financial commitment ($27 each month to help with your sister's food, job skills training, etc. ), but the really unique thing about Women for Women is that you also pledge emotional support, meaning that you'll get to exchange letters with your sister. Just go here to sign up.